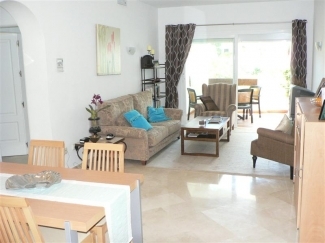 *Luxury 2 bed/2 bath apartment for rent on a fantastic modern beautifully landscaped complex with security. 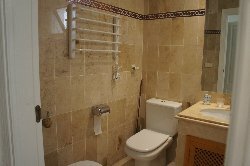 *The apartment comprises two bedrooms: bedroom one is double with en-suite bathroom with bath and shower and bedroom two has win beds. 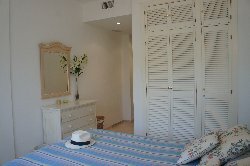 Both bedrooms are to the rear of the apartment and are fitted with shutters. They are both fitted with central heating/air conditioning. 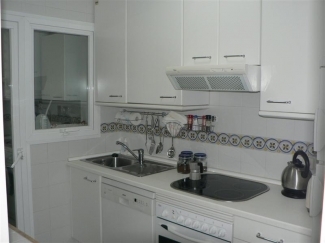 * There is a well equipped fully kitchen including washing machine, dishwasher, fride/freezer, microwave and oven. * The lounge diner has a dining table with six chairs and two sofas for your comfort. There is a satellite TV with DVD. 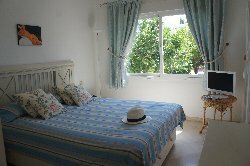 * There is a terrace to the front with table and four chairs, overlooking the swimming pools and gardens. 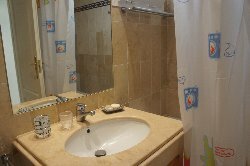 * The complex has a secure gated entrance and garaje with secure. 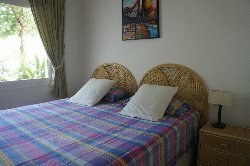 *1 minute walk through tropical gardens to a lovely sandy beach hosting beach bar, sun loungers and pedaloes. 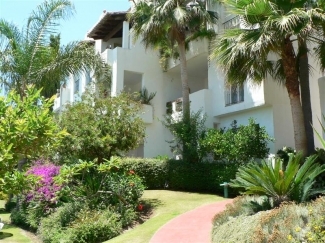 *This complex is situated very near to the new Los Flamencos golf course and close to the town of Cancelada and San Pedro. 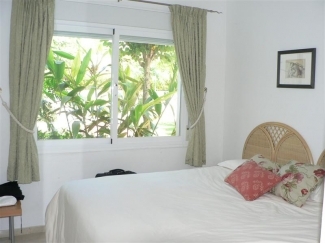 *Puerto Banus is approximately 5 minutes by car, Estepona 5 minutes by car. *Quality furnishing, inc TV, DVD. 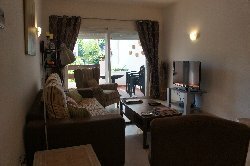 *Large supermarket, restaurants and shops 5 minutes walk away. 24hr petrol garage 3 minutes walk that sells fresh bread, English papers and loads more. Discounts will be considered for booking of more than 4 weeks.